The Cosrx brand has received abundant reviews and attention from bloggers and beauty infuencers so instead of reviewing both these foam cleansers separately, I thought it might be more useful to do them comparatively. The Low pH Good Morning Gel Cleanser works without stripping the skin of natural oils. Purifying botanical ingredients and mild acids cleanse at an ideal pH level for supple and clear skin. It contains tea tree oil to help balance oily complexions and natural BHA to refine texture. The (renewed) Salicylic Acid Daily Gentle Cleanser is targeted to all skin types (including sensitive) but particularly acne prone, helping to reduce breakouts. 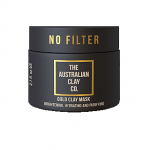 In doing so, it gently removes impurities and excess sebum without stripping. Heavily represented in the formula of the Low pH Good Morning Gel Cleanser are surfactants, Cocamidopropyl Betaine, Sodium Lauroyl Methyl Isethionate and Polysorbate 20 which provide cleansing efficiency to the gel. Natural acids, Betaine Salicylate (BHA derived from sugar beets) and Citric Acid (AHA from citrus fruit), contribute gentle exfoliation effects. Together they penetrate into the skin to help renew the epidermis by removing damaged and dead skin cells and encouraging new cell growth to help alleviate the appearance of discolouration, acne scars and fine lines. The cleansing agents in the (renewed) Salicylic Acid Daily Gentle Cleanser on the other hand are dominated by fatty acids, Myristic Acid and Stearic Acid and also supported by similar surfactants (Sodium Methyl Cocoyl Taurate, Polysorbate 80, Cocamidopropyl Betaine, PEG-60 Hydrogenated Castor Oil). At significant concentrations are Glycerine and Lauric Acid, introduced to add balance by replenishing moisture lost from the cleansing process. The star ingredient is of course Salicylic Acid, a Beta Hydroxy Acid (BHA) included at a concentration of 0.5%. 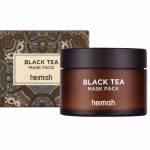 Often featuring in acne treatments, it has the ability to improve blemishes, pimples, blackheads and whiteheads by keeping pores clear of debris and excess oil. It is also able to soothe aggravated skin and minimise the appearance of uneven tone. Willow Bark Water displays astringent, anti-inflammatory and soothing properties and also contains Salicylic acid to assist the natural exfoliation of the skin and help control acne. Phenolic acids additionally aid skin rejuvenation. 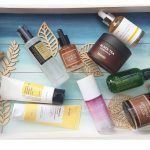 Common to both formulas, a host of botanical extracts are included for their antioxidant, anti-inflammatory and anti-acne action while Tea Tree Oil is also added to help control sebum production and reduce breakouts. Saccharomyces Ferment is renowned for its use in the cult product, Missha’s First Treatment Essence where I delve into its benefits in greater detail. Suffice it to say that this fermented yeast optimises the skin’s natural rejuvenation process. Both Cosrx foam cleansers are presented in a plastic squeeze tube with removable screw top opening. When new, the opening is closed with a seal. A favourable assessment is returned from both the CosDNA and EWG databases, rating the Cosrx Low pH Good Morning Gel Cleanser as a low hazard. Both the CosDNA and EWG databases, deliver the Cosrx Salicylic Acid Daily Gentle Cleanser a moderate hazard due to the sensitizing potential of acids and added fragrance. 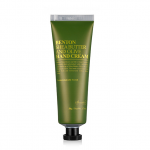 Dispense the cleanser and massage in circular motions onto damp skin to create a lather. Rinse thoroughly with a tepid water. Both cleansers have a somewhat botanical scent. More specifically, the Cosrx Low pH Good Morning Gel Cleanser scent is distinct, strong and resembles rubber. The Cosrx Salicylic Acid Daily Gentle Cleanser is lighter, slightly citric and medicinal. come in a 150ml tube and retail between around US$11.00-US$13.00. Cosrx products are widely available at Korean skincare boutiques including iHerb, Style Korean and Wishtrend. 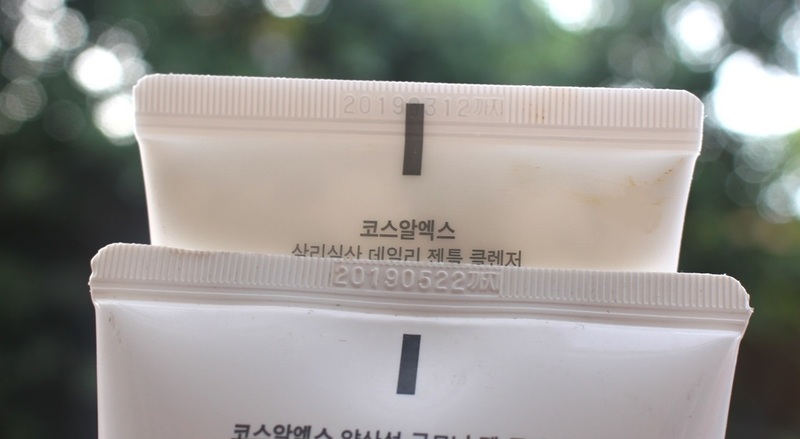 The cleansers both expire 12 months after opening and appear to have a shelf life of two years (this is an estimate based on my purchase date and the expiration date stamped on the tube). 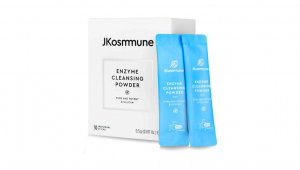 Both cleansers are packaged in the same style, effective and standard. The Morning cleanser emits a fairly strong botanical scent, the result of its composition with no added fragrance in the formula. Some describe it as botanical but to me, it smells like rubber. I didn’t like the smell when I first experienced it and having completed the tube, I still don’t like it, however, it is tolerable. The Salicylic Acid cleanser on the other hand has a lighter scent but also somewhat botanical. In terms of texture, the Morning is a clear, thick gel while the Salicylic Acid cleanser is a creamy, opaque white. Both are applied to damp skin and massaged in circular motions to generate a satisfying foam. Both also rinse off easily to reveal clean skin. One significant difference between the two products is their pH level. The Morning cleanser’s pH is confirmed as claimed by a pH test, the reading near enough to 5.5. 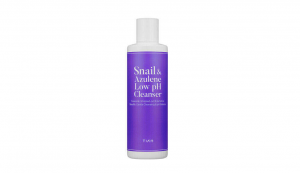 The Salicylic cleanser has a pH level of 9 which is far too alkaline to maintain a healthy acid mantle. As such, the former leaves the skin feeling clean and hydrated, the latter leaves the skin squeaky clean and tight. There is nothing extraordinary about either product. Apart from the scent, I really enjoyed the Morning cleanser. It provided a good clean and left my skin hydrated. Although the brand recommends this for makeup removal, I dislike using foaming cleansers for this purpose. Furthermore, it lacked the sophisticated removal capability of cleansing oils and balms. So, my review of this product is merely as a second cleanse/morning wash option. As someone who has combination skin but doesn’t suffer acne, I found the Salicylic too drying. I decided to try it in an attempt to neutralise my oily T-zone since it claimed sebum control. I passed it on to my teenage daughter who has some acne on her forehead and a little at the top of her cheeks. Having successfully used an alternative cleanser that included 2% salicylic acid, she found that 0.5% was insufficient to control acne. Even after continuous use, she observed its effects to be merely cleansing. Both are well priced and generous and will last several months with daily use, so definitely budget friendly. I think the Morning cleanser would suit all skin types, even sensitive. I probably wouldn’t recommend the Salicylic cleanser however since the acne control is limited and drying is one of the outcomes of cleaning. The Low pH Good Morning Gel Cleanser is a lovely, gentle, effective and economical gel cleanser suitable for all skin types. 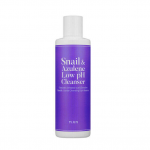 The (renewed) Salicylic Acid Daily Gentle Cleanser works to clean impurities well but dries the skin in the process. I have no hesitation in recommending the former as a second/morning cleanser although would not suggest using it for makeup removal.